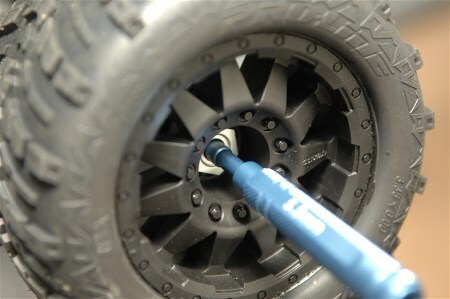 CNC Machined from one piece aluminum, these 5.5mm nut drivers are cut to a perfect tolerance with amazing factory looks. Featuring knurled handle for good grip and ease of handling during use and drilled hollowed center for great weight reduction. These 5.5mm nut drivers also features thinned wall construction so it can fit into narrow locations to tighten or loosen the lock-nut. 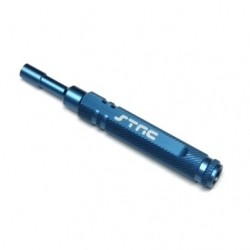 This tool is especially useful in locking down the inner 5.5mm lock-nuts for our STA31266, ST1654-17 and ST3654-17 series 17mm hex adapter kits. There are no additional images for this product.